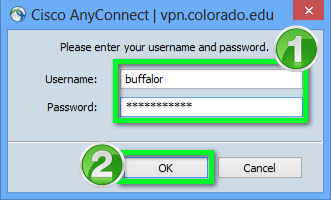 The documentation below shows the process of setting up the AnyConnect application to connect to CU Boulder's VPN service for Windows users. Download and install Cisco AnyConnect for Windows . *Note: If opening from Program Files, double-click vpnui, located in the Cisco -> Cisco AnyConnect Security Mobility Client folder, to launch the application. 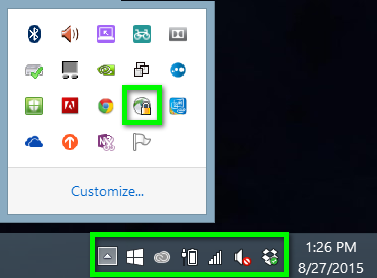 To disconnect, reopen the client by clicking on the AnyConnect icon from the bottom right task bar. Click the Disconnect button to end your session.